CarMax and the Broncos teamed up with our Coach K and Playworks for an unforgettable afternoon. CarMax employees, Miles, Broncos’ Cheerleaders and Wide Receiver Demaryius Thomas came by to play with our 1st, 3rd and 4th graders. 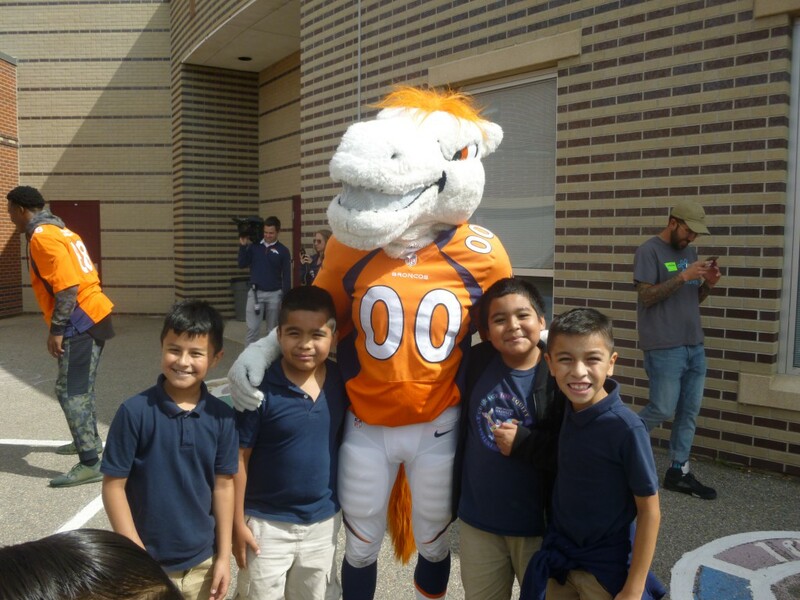 5th Graders were treated to a Broncos Bunch Membership! What an amazing day! Check out some of the pics below!